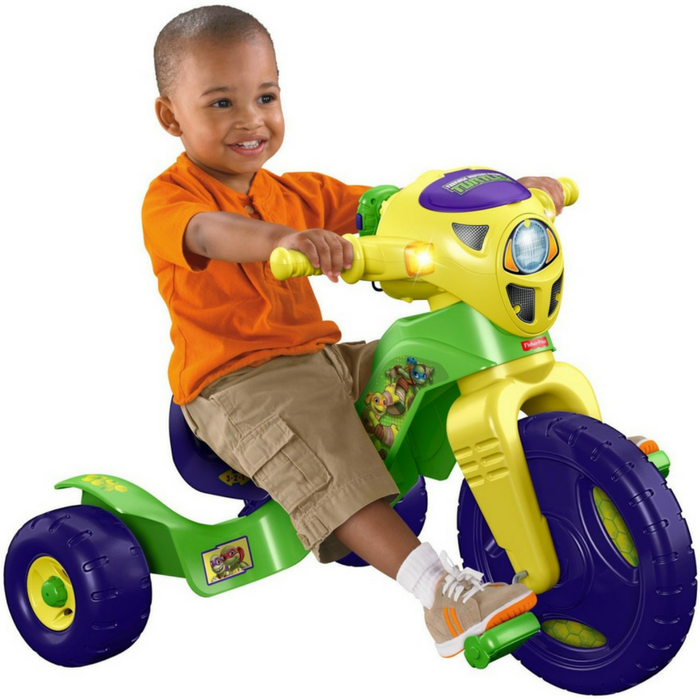 Teenage Mutant Ninja Turtles Lights & Sounds Trike Just $36.46! Down From $57! PLUS FREE Shipping! You are here: Home / Great Deals / Amazon Deals / Teenage Mutant Ninja Turtles Lights & Sounds Trike Just $36.46! Down From $57! PLUS FREE Shipping! Amazon is currently offering this Teenage Mutant Ninja Turtles Lights & Sounds Trike for just $36.46 down from $56.99 PLUS FREE shipping! Little ones will love rolling from one ninja-fighting adventure to the next with the lights, sounds and music from Teenage Mutant Ninja Turtles to accompany them! There’s even a talking “walkie-talkie” with fun character phrases! The kid-friendly design of this special Nickelodeon Lights & Sounds Trike features an oversized front wheel that helps toddlers pedal faster, a wide wheel base for added stability, easy-grip handlebars, slip-resistant pedals and a three-position adjustable seat that “grows” with your child. It’s everything your young Teenage Mutant Ninja Turtles fan could want! Fun Teenage Mutant Ninja Turtles styling!